Flor De Toloache performing at the Levitt AMP stage in Middlesboro, Ky in 2018. When Ramos moved from Puerto Rico to New York City over a decade ago, she thought that mariachi might be different in the Big Apple. She expected a divergence from the overly-masculine standards that so prevalently surrounded the genre back home, as female mariachis were not unheard of in the United States (think LA-based Mariachi Divas). However, New York turned out to be less of an escape than she had imagined: the only mariachi bandmates she could find were men who played in the traditional style. Craving both new contemporaries and a new sound, Ramos asked Fiol, whom she had been practicing music with at the time, if she wanted to try something different—something empowering. Then, in 2008, the first all-female mariachi group in New York City was born. Their first stop was the subway. After several years of spreading the joys of mariachi all over the New York underground, Vivian Yee, a reporter for The New York Times, discovered the still emerging Flor De Toloache and in early 2013 brought widespread attention to the changing face of mariachi. The group, nine members strong at the time and led by Ramos and Fiol, was an all-female cultural melting pot. Some members were of Cuban descent, some Colombian, some Dominican. They played instruments ranging from the guitar-like vihuela to a blaring trumpet and laced their songs with violin and harp strings rarely heard from New York-based mariachi groups at the time. “That New York Times article was a big break. That cracked open the press world for us, and it’s been really kind ever since,” says Fiol. Before they knew it, Ramos, Fiol and the rest of their rotating band mates were able to land a touring gig with The Arcs, a side project for The Black Key’s leader Dan Auerbach, after a friend of Ramos’ suggested that Flor De Toloache was the perfect group to add some mariachi flair to the record. Auerbach was impressed by the group’s ability to play a fusion of genres, but what sealed the deal was that they could also sing—The Arcs needed background vocalists, and Flor De Toloache was the perfect fit. They spent the latter half of 2015 travelling the U.S. and Europe as The Arcs’ opener and supporting band, playing live on “Stephen Colbert,” and even earning their first Latin GRAMMY nomination for Best Ranchero/Mariachi Album for their first full-length, self-titled project. Coverage from the likes of Rolling Stone, NBC News, Oprah, Billboard and a viral NPR Music Tiny Desk Concert further propelled the band into its imminent stardom. 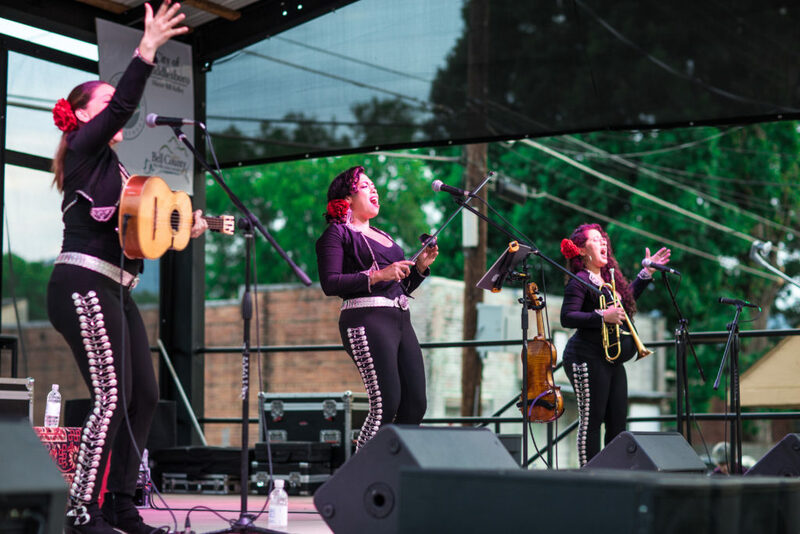 Cue 2017—after the release of their critically-acclaimed debut studio album “Las Caras Lindas,” Flor De Toloache received its second Latin GRAMMY nomination for Best Ranchero/Mariachi Album. 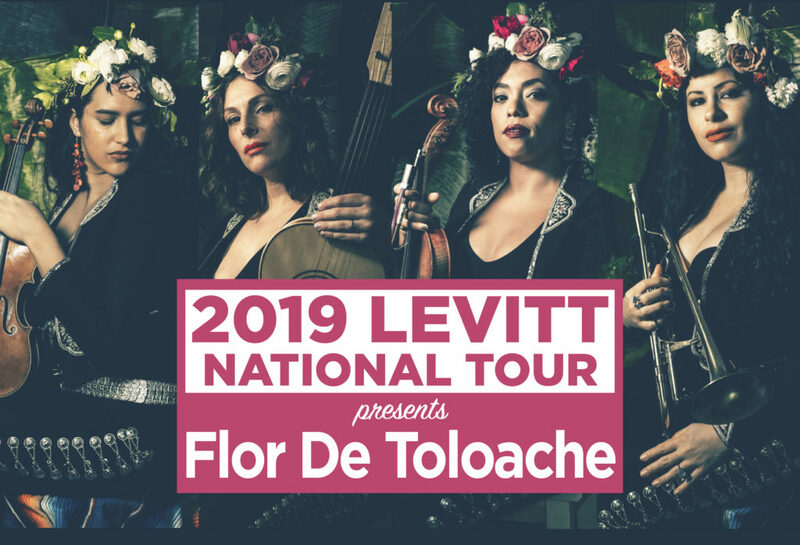 Having been seated close to the stage and invited to perform during the Awards telecast with Natalia Lafourcade, Flor De Toloache started to have a sneaking suspicion that history was about to be made. “We were holding our breath the entire time they were announcing our category, so when they said our name, we couldn’t believe it,” says Fiol. Flor De Toloache was the first all-female band to win the category in Latin GRAMMY history, and the group loves to point out that their win was a special moment for women in music. “We started on the subway with absolutely no money, just freelancing. We’ve been hustling for so long, and to be up there receiving one of the greatest awards was a dream come true!” says Ramos. Stay tuned for 2019 Levitt National Tour city dates in the coming weeks! what is date and location for bethlem pa ? Levitt Pavilion SteelStacks is located on the SteelStacks campus in South Bethlehem (101 Founders Way, Bethlehem, PA 18015). Stay tuned for 2019 Levitt National Tour dates!